1. Preheat oven to 350 °F (175 °C). 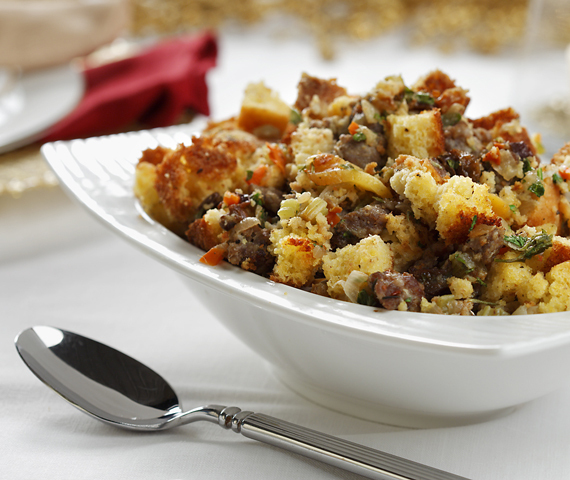 Place cornbread cubes in large bowl and set aside. 2. In small nonstick skillet, cook sausage over medium to high heat, crumbling and stirring until brown and cooked through. Drain well and set aside. 4. Whisk together egg and remaining 3/4 cup (175 mL) broth and pour over cornbread mixture, tossing well. Spray 2-quart (2.25 L) baking dish with canola oil cooking spray (use larger baking dish if not reserving dressing for Turkey Roulade) and transfer all but 1 1/2 cups (375 mL) of dressing to baking dish. Cover dish with foil and set aside. 5. After Turkey Roulade has been in oven 30 minutes, place covered baking dish of dressing in oven. 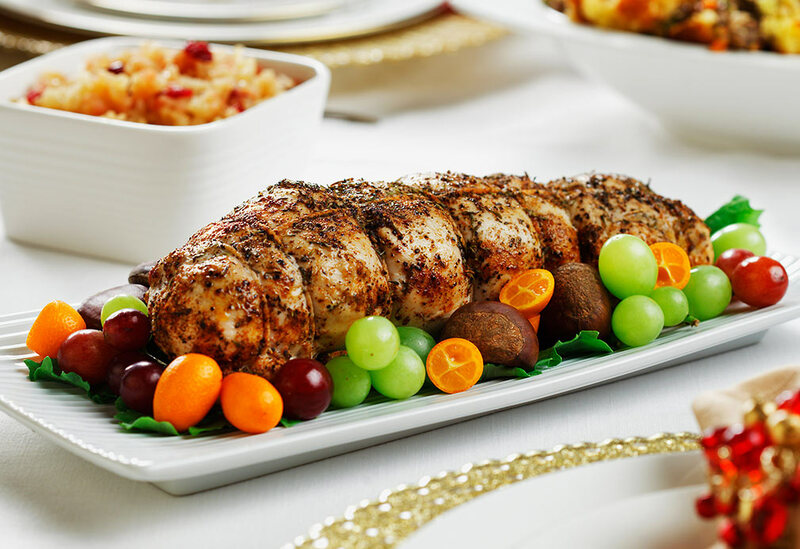 After 15 minutes (or when internal temperature of roulade, measured with instant-read thermometer, is 155 °F), remove roulade from oven and remove foil from baking dish with dressing. 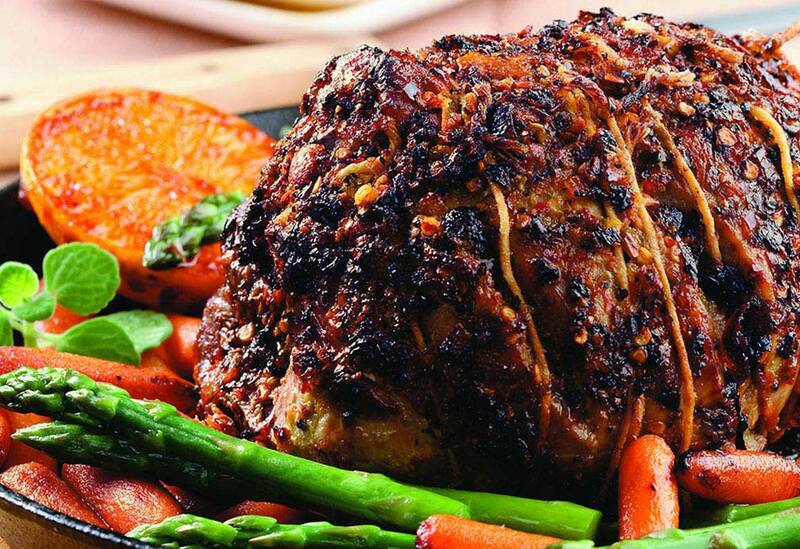 Continue baking dressing for about 15 minutes or until top begins to brown. 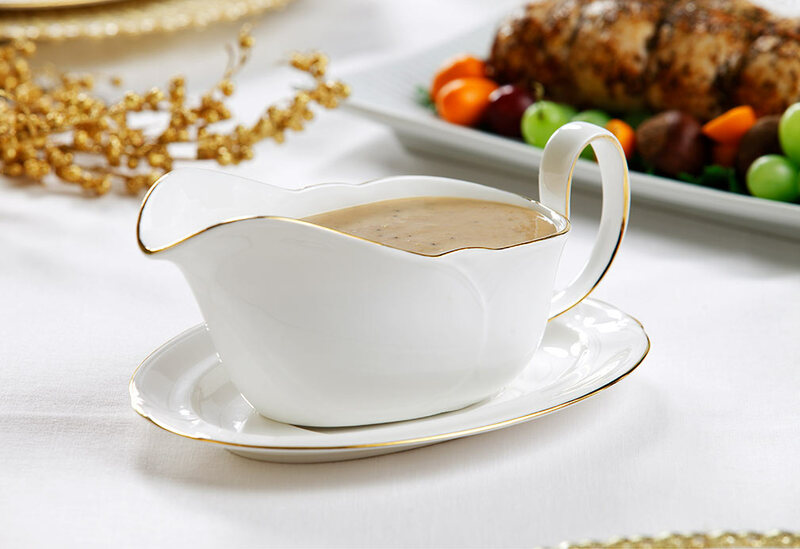 While it sounds luxuriously rich, this gravy is light on calories and fat so you can enjoy all of the flavor with none of the guilt. Do not completely eliminate hot pepper because results will not be as intended.